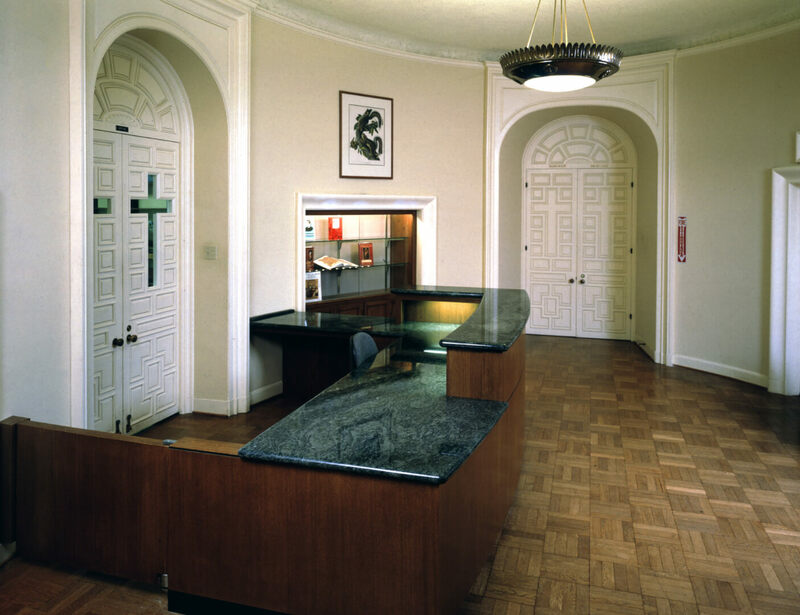 This granite-topped oak desk was built from drawings provided by an architect hired by St. John’s to accommodate their new computerized library system. The curved front added a warming design element. The entry gate on the left featured two-way hinges to provide a swinging door access. The commission called for rift oak veneer on the desk structure and lighting under the elevated counter-top. 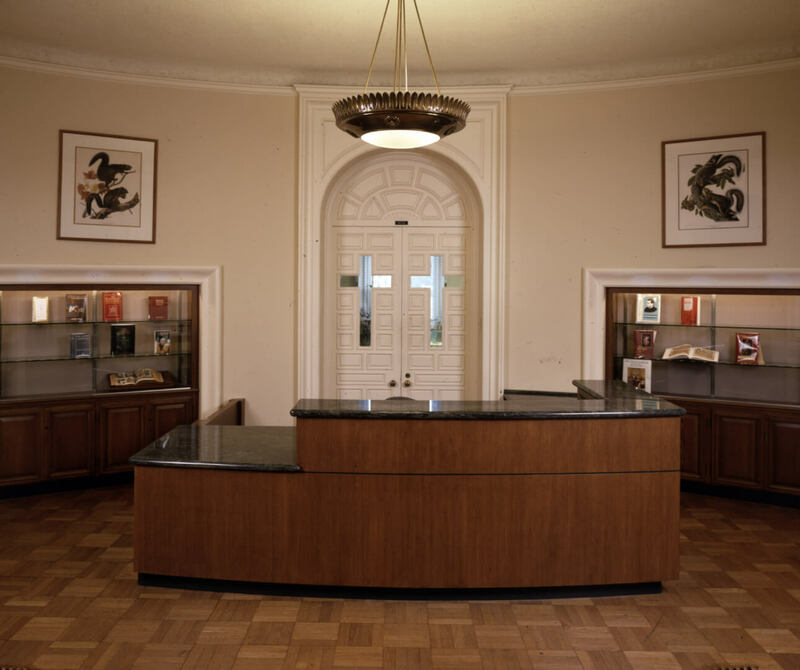 The job also included two new showcases that were built into alcoves where library card files used to be. The library building at St. John’s was designed by Wallace Neff.